What Type of Biker You Are? * Are you the mountain biking type? In this case, you will have to confront with abrupt tracks, rocky and rugged mountain terrains. * Are you more of a biker who likes unpaved trails and roads for their biking experience? In this case, you will be less vulnerable to hazardous tracks, but there is, however, a degree of risks on these types of tracks. * Are you more of a city biker? Then you will have to move more on bike paths and paved roads. * Mountain bike tires – It is for the first type of biker who uses rugged terrains, you will have to look for tires that are a little bulky and wider with plenty of traction. Keep in mind that your wheels need to have a strong support while riding those rugged and rocky tracks. For the city bikers, you can stick to narrower and smoother tires while having traction as well. You may not need as much traction as you need the speed on a pavement that requires as such a smoother type of tire. * Mountain bike forks - come in different types, but the key thing is the shocks these forks are 'equipped' with. With shocks installed in the fork, you will have a more comfortable experience in riding as compared to the ones that lack shocks. This is the best for the first type of biker who rides the rugged paths. As to the city biker, the forks without shocks can imprint more speed to the bike again an aspect that city bikers may be willing to look for. * Saddles - are usually designed in a simple structure exceptionally light weighted with less padding. 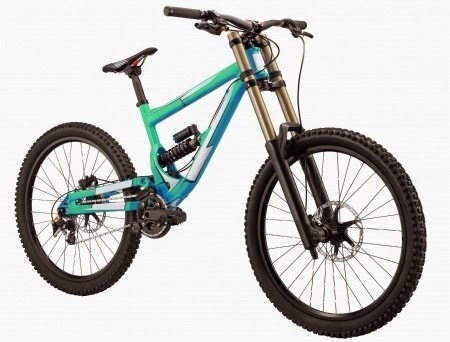 This is typically found with mountain bikes that are made for rough terrains while for the bikers riding through towns, they will be more inclined to go for padded saddles since the bike is primarily for pleasure and fun.